For the past year an exciting movement has been sweeping through Palo Alto, and it had its first victory in the tidy neighborhood of Los Arboles. In early November Palo Alto changed zoning for the 83-home tract to prevent second-story additions. 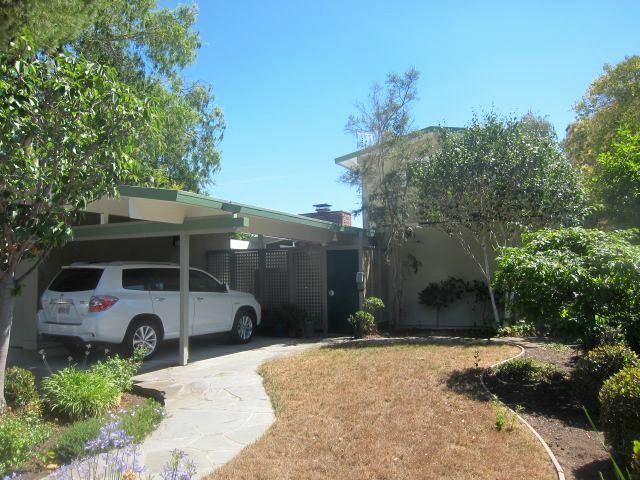 Several other Eichler neighborhoods in town are also seeking such zoning rules. Neighbors from different areas have shared ideas. 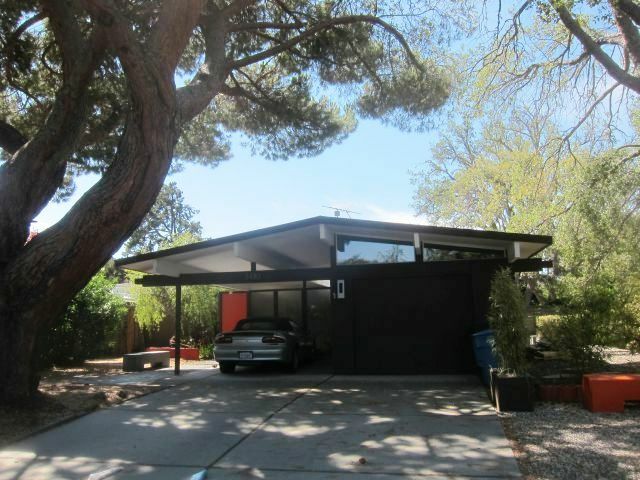 Eichler owners in other towns might be able to learn from their example as well. Rebecca Thompson, who modestly avoids the term ‘leader,’ hopes other Eichler neighborhoods step up to the challenge of monster homes that have been rolling through Palo Alto, Menlo Park, and other Silicon Valley cities of late. She notes that the mechanism that succeeded in Los Arboles -- creating a single-story overlay zone -- may not be appropriate in every city, or be the best method. But the way she and her neighbors went about researching the issue, gathering support, building alliances, and playing politics can be copied anywhere. In Palo Alto, the overlay seemed their only choice. But other cities, including Sunnyvale and Cupertino, have instituted special design rules for Eichlers. Such rules can be created elsewhere. And some cities, she says, will enforce the covenants, conditions and restricts (CC&Rs) that often are imposed by contract on certain neighborhoods. Palo Alto does not. “See what’s available in your locality,” she says. Step one, she says, is research. Learn what planning rules are in place that might help. Meet with neighbors to develop a strategy. 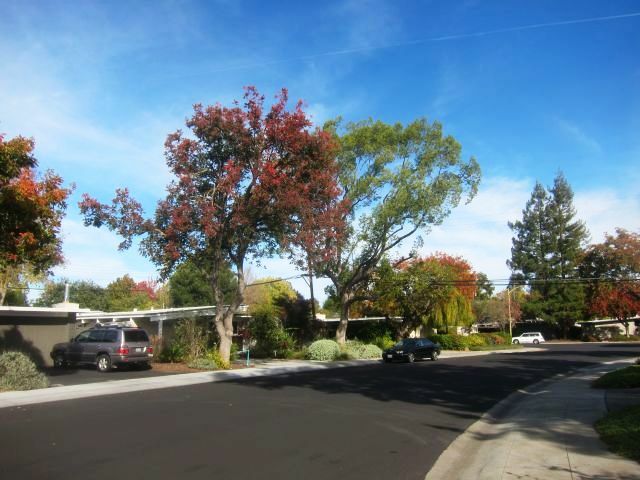 In Palo Alto, neighborhoods such as Los Arboles that don’t have CCRs have to show city officials that 70 percent of homeowners support the overlay. They also have to show that the neighborhood remains primarily single story. Los Arboles does, though it does contain several two-story additions. Rebecca, who moved from Seattle to Los Arboles in 2009 as a renter before buying here two years later, was already attuned to the monster home threat. Two of her homes in Washington had their views blocked by large, new houses. 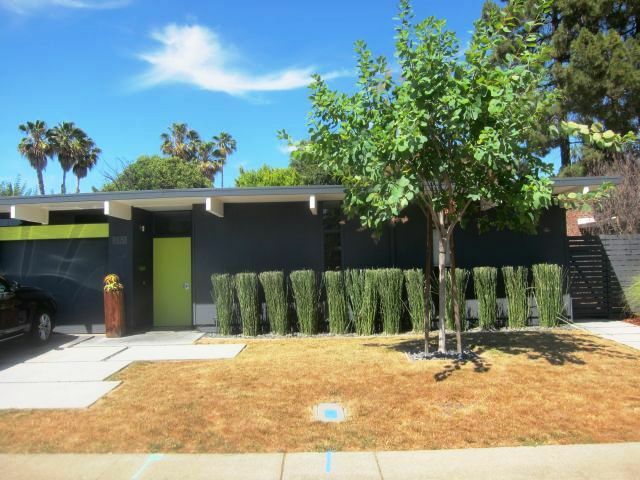 So, when other Eichler neighborhoods began seeing teardowns and immense remodels alter their character, she stepped up. She spoke to friends in the neighborhood, and at block parties. Some people thought Los Arboles already had a single-story overlay, because there had been efforts in the 1990s to create one. But it had failed. Research involved reading city documents, and meeting city planners, who were helpful but at times didn’t understand the process themselves. “Not all the planners had been through this before. The last time it happened in the city was 2004,” she says. To gauge neighborhood support, volunteers prepared a one-page survey and distributed it via email, door to door, and at a block party. “Do you think this is something the neighborhood should look at?” was one question, “And where do you think you fall on the question,” was another. Answers could range from strongly in favor to strongly opposed. The results were pleasing – 80 percent in favor of the overlay. Rebecca notes that support was broad-based, among newcomers and old-timers, and throughout the neighborhood. “Fortunately the level of opposition was pretty small. Nobody had to be convinced. Some chose not to sign because they were not sure,” she says. But then there was that fee. It would cost $7,000 to $9,000 to apply for a zoning change, planners told them. Rebecca didn’t have much experience with Palo Alto politics. But, at a meeting at the Eichler Swim and Tennis Club with folks from several Eichler neighborhoods to talk about teardowns, some other people did. “The idea of getting in contact with the city council to do away with the fee never occurred to me before,” Rebecca says. But Los Arboles asked – and the council said yes. It turns out, she says, that the fee had never actually been imposed for such neighborhood changes before. We’ve saved Rebecca Thompson’s best piece of advice for last. 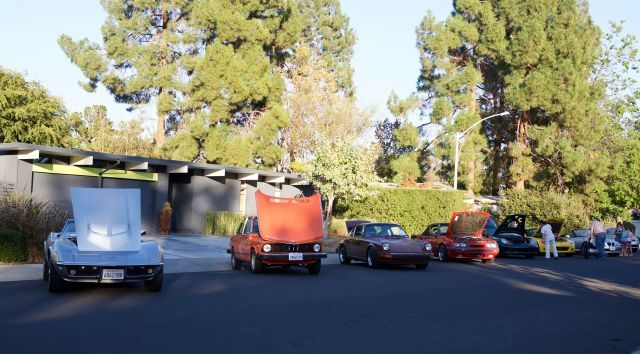 Neighbors seeking a second-story overlay spread the word during a neighborhood block party that featured a Concours d'Elegance made up of cars from Los Arboles. Photo by Luc Semeria.